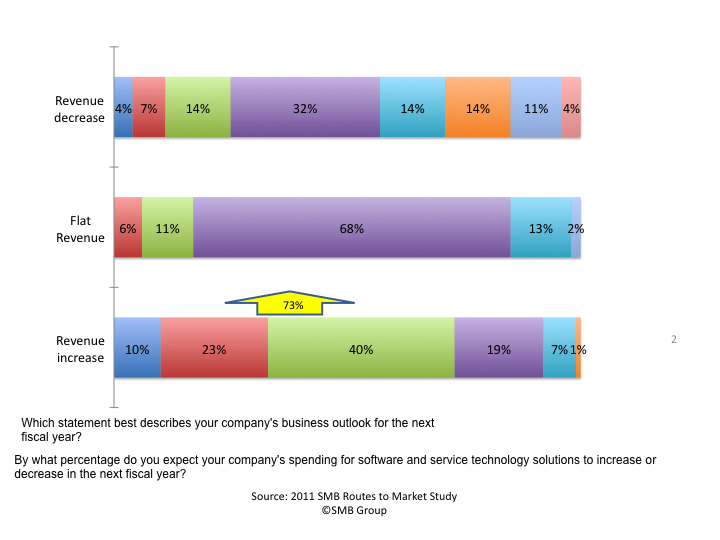 The SMB Group’s latest survey, 2012 Small and Medium Social Business Study, examines how and why small and medium businesses (SMB) are using social media in their businesses today. The study also provides trending analysis based on comparison with SMB Group’s 2011 Small and Medium Social Business Study. The good news for social media enthusiasts is that overall use of social media is up from 44% to 53% among small businesses (1-99 employees) and up from 52% to 63% among medium businesses (100-999 employees). We also found that SMBs’ adoption of social media, as well as the benefits that they think accrue from using social media, continues to remain concentrated in marketing areas. As shown in Figure 1, medium businesses cite “increasing brand awareness” (49%) as the #1 benefit by a wide margin, followed by “increasing web leads/traffic” (29%) in the #2 spot. Among small businesses, “increasing web leads/traffic” (42%) takes top honors, followed closely by “increasing brand awareness” (40%). Furthermore, 35% of SMBs who use social media have replaced and/or displaced other tools with social media in 2012. Since SMBs still use social media mainly for sales and marketing purposes, it’s not surprising that the tools that SMBs are most likely to have replaced are more traditional marketing tools such direct mail, ads in newspapers/business trade journals/magazines, yellow pages, and email marketing. The bad news is that despite the fact that social media is often touted as a more cost-effective marketing mechanism than these traditional channels, only 23% of small businesses and just 17% of medium businesses rate “reducing marketing costs” as a top benefit of social media. In addition, “not enough time” and “unable to accurately measure the value of social media” are the top challenges SMBs face in getting value from social media, as illustrated in Figure 2. Drilling down a little further, we see that among small businesses, “not enough time” is the top challenge (62%), followed distantly by “unable to accurately measure the value of social media (41%).” The data underscores that small businesses are struggling to find the time for employees to tend to social media–in most cases, in addition to the other jobs they need to do. Another wrinkle is that unlike more traditional one-way marketing, such as advertising or the yellow pages, small businesses can’t just set it and forget it when it comes to social media. Now, they’re in an interactive dialogue in which customers and prospects are likely to put more demands on their time–and maybe at inconvenient times. 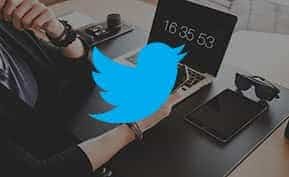 For the many small businesses where time is money–and the company’s most valuable asset–lack of time prohibits value, and the high cost of time diminishes their ability to use social media to reduce marketing costs. In contrast, among medium businesses, “unable to accurately measure value” is the leading challenge at 49%. “Not enough time” slips to the #2 spot (36%), followed very closely by “difficult to integrate social media with other business activities” (34%). It seems that medium businesses may have a bit more manpower to devote to social tasks than smaller companies. But it is proving very difficult for them to measure business value from their efforts. Furthermore, medium businesses are finding it tough to integrate social with other applications. Without adequate integration and automation, they need to use clunky workarounds to connect social with other business solutions. For many medium businesses, the combination of an inadequate solutions to monitor and measure effectiveness, plus cumbersome processes may–at least in terms of perception–cancel out some of the cost savings and value that they could potentially derive through their social media activities. 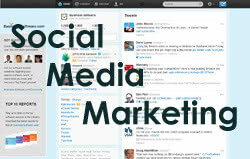 The genie out of the social media bottle, and SMB use of social will continue to rise because the customer demands it. But, unlike the very early going, when simply using social media–however experimentally–was a way to differentiate, the bar is inevitably rising. To gain a market edge, SMBs will increasingly need to use social media in more innovative and personalized ways, and be able to adjust their efforts in a more granular, targeted and proactive way. Based on the survey results, it seems, however, that most of them lack the right tools for the job. To help SMBs jump these hurdles, vendors must develop a much deeper understanding of SMB requirements and constraints, rethink their approaches and tune their solutions to these concerns. For small businesses, lack of time is the biggest barrier to getting value from social media. Vendors need to create solutions that take time and labor out of the process, with turnkey services that help them to identify, implement, use and manage social activities in a more time-effective and cost-efficient way–perhaps right from the email or contact management solution that they use every day. Many medium businesses would be interested in this type of service as well. After all, lack of time is their #2 social media challenge. But the fact that the most significant barrier for medium business is that they are “unable to accurately measure the value” suggests that the current crop of social media monitoring and measurement tools doesn’t fit the bill for many of these companies. Fortunately, it’s still early in the social media game. And social vendors should have ready access to many tools to gather up SMB pain points, wish lists, requirements and feedback! I’m looking forward to seeing some of them take the next steps to apply these tools to harvest this information, combine it with related SMB market insights, and spend enough time with SMBs to see what a “day in the life” is actually like. May the best solutions win! 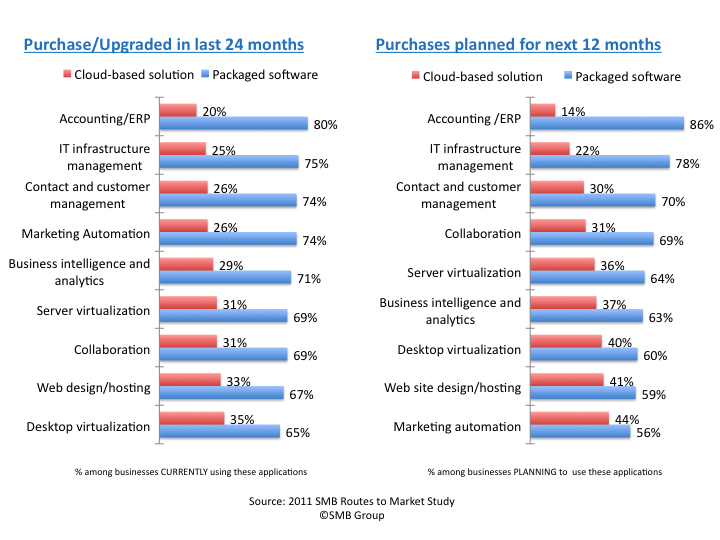 Learn more about SMB software. Visit the SMB section of Business-Software.com’s blog for best practices and tips to acquire and use affordable software.